Cristiano Ronaldo and his Portugal team-mates have become the latest side to take up the mannequin challenge sweeping the internet. 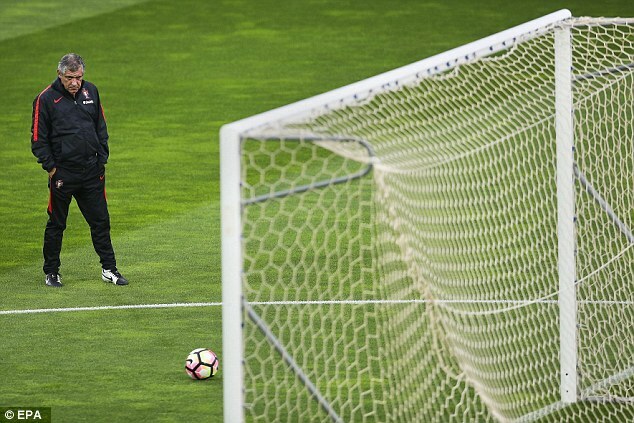 Ronaldo, who often takes centre stage, once again stole the limelight as he posed in just his white pants while the majority of his colleagues wore training kit. 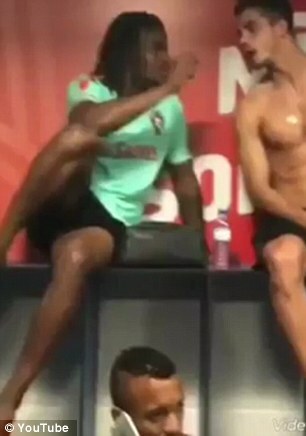 Ronaldo, who showed off his athletic physique, can been seen frozen in the middle of Portugal’s dressing room as the rest of the team pose in various other positions while the scene is filmed. 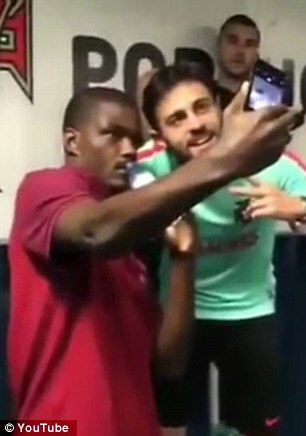 Southampton defender Jose Fonte can be seen having medical tape put on his ankle while William Carvalho is preparing to take a selfie. 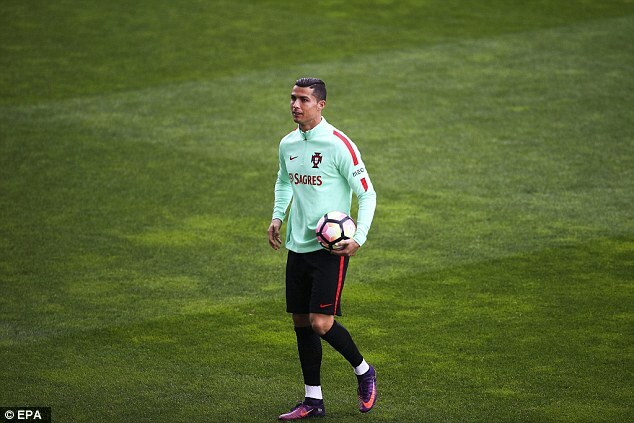 Ronaldo also took centre stage during Portugal’s training session on Saturday as the superstar showed off his impressive ball juggling skills. The Real Madrid forward is preparing to lead his team out against Latvia in Sunday’s World Cup Group B qualifier. 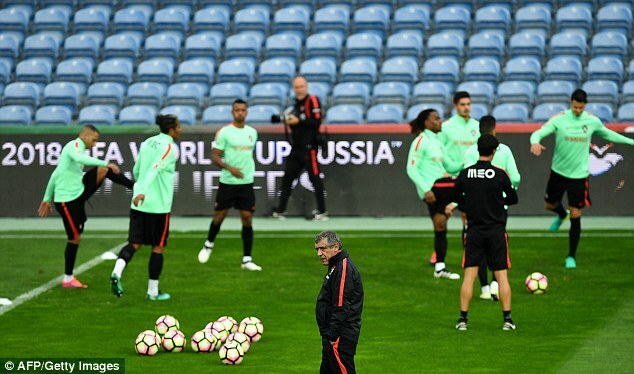 Ahead of that clash, where the Portuguese will be hoping to seal victory to keep the pressure on group leaders Switzerland, the European champions were put through their paces at the Algarve Stadium. And during the session, former Manchester United star Ronaldo took the opportunity to showcase his ability on the ball. 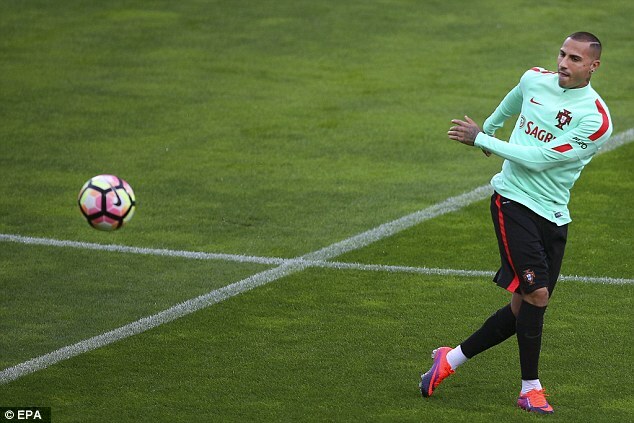 The Portugal captain, who helped his country secure a memorable Euro 2016 crown in the summer, appeared in high spirits as he juggled the ball on his own. The general feeling around the Portugal camp seemed to be positive as Bayern Munich youngster Renato Sanches also appeared in buoyant mood on Saturday. Sanches and his international team-mates took part in various training drills as they gear up for their next 2018 World Cup qualifier. Meanwhile, Ronaldo has explained why he never voted for Zinedine Zidane as FIFA coach of the year. 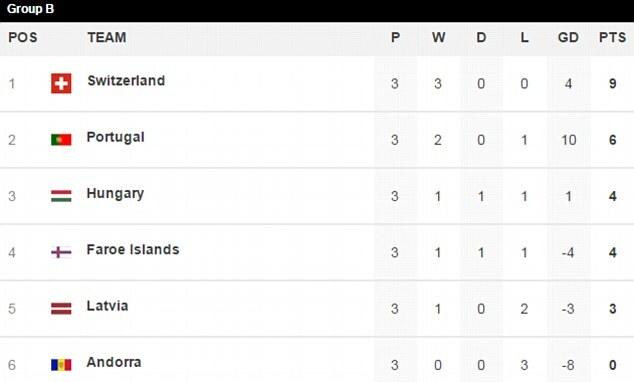 Ronaldo picked Portugal manager Fernando Santos over his Real Madrid boss but said: ‘In my opinion is it much more difficult to win the European Championship with Portugal than the Champions League. ‘It was a very difficult decision between my two managers and that is why I decided as I did. It has got nothing to do with my relationship [with Zidane].